Visit two of Maui’s most beautiful and popular attractions. 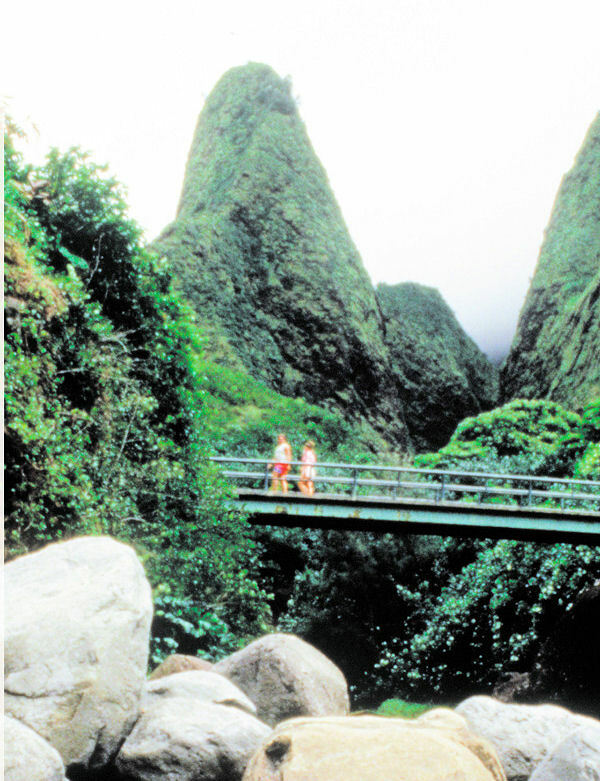 Your excursion begins with a guided drive to Iao Valley State Park. One of the highlights of the park is the Iao Needle, a 2,250 foot cinder cone pinnacle that dominates the surrounding lush terrain. You will enjoy a walk in the park and view an impressive valley and beyond. The next visit is to one of Maui’s most interesting sights, the Maui Tropical Plantation. Take a 35-minute narrated tram tour through fruit fields and flower orchards. View fields of coffee, bananas, macadamia nuts, papayas, mangoes, orchids and more. Your guide will stop along the way for a coconut husking demonstration and photo opportunities. After the tram tour walk through beautifully landscaped gardens. Shopping opportunities available at the Gift Store. *Please note: Effective immediately, Iao Valley State Monument will be closed to traffic due to damage suffered from heavy rain and flooding for an indefinite period of time. Iao Valley will not be a stop on the tour, we will instead go through Makawao Town, Hookipa Beach, and Haiku Kula. Be sure to bring your camera. Comfortable walking shoes are recommended. The tram ride is not wheelchair accessible. Excursions offered may not be available for every cruise ship. Children aged 2 and older require a ticket to participate.